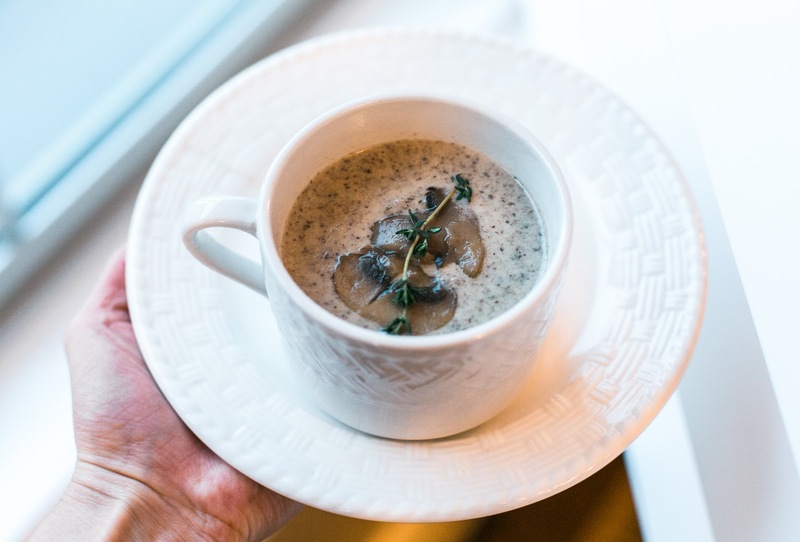 With all the appetizers we've been posting I thought it would be a nice change to make a mushroom soup at our Nightingale book club last week, that could serve both as a main meal or a hearty side that is sure to warm you up this winter. The seasonal blues are in full swing with all the snow we have been having, so I'm looking forward to getting my vitamin D soon. I don't know about you, but we are all about warm and rich meals in our house right now to tide us over until spring. Okay, so onto this soup! It's creamy, rich, and the umami is so yummy and satisfying. What's umami you ask? Well, it is actually one of our 5th basic tastes and means "yummy" or "delicious" in Japanese. 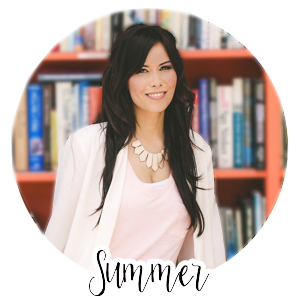 Being a hapa (half Japanese), I'm a little embarrassed to admit that I was taught this word only a few years ago by my very white, French speaking husband, who knows way more about Japanese culture and cooking than I do. If you aren't familiar with umami, and are as old as I am, you are in good company. Even though umami was first discovered back in 1909 (by a Japanese Chemist named Kikunae Ikeda), we were never taught this in elementary or high school because it didn't officially become recognized as one of our basic tastes until 2002. He found that the soup dashi, didn't fit into the usual categories (sweetness, sourness, bitterness, and saltiness) and that the secret ingredient that makes dashi and other foods like tomatoes, aged cheese, and meat taste so good was glutamic acid. When glutamic acid is broken down into L-glutamate, from being cooked, aged, or baked under the sun, that's when things get super tasty. That's the delicious part about this dish. 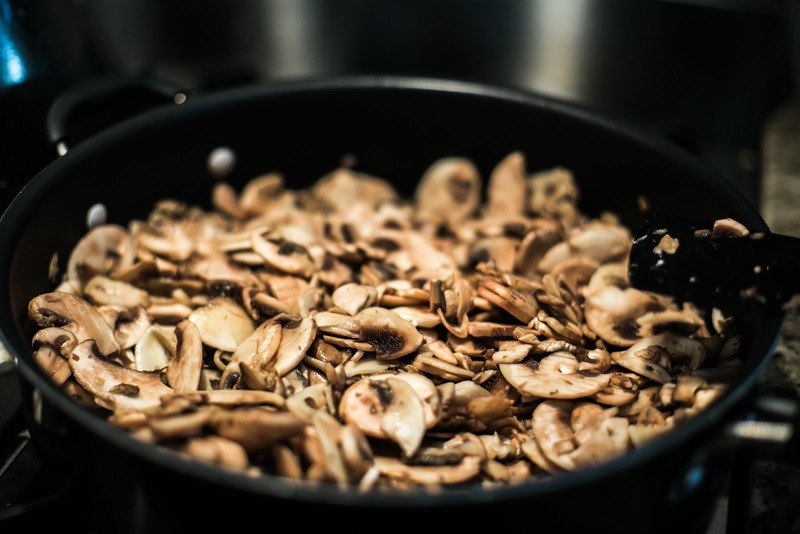 The mushrooms are slowly cooked until caramelized and like Chef John says, it is "the key to unlocking the mushroom's magic". 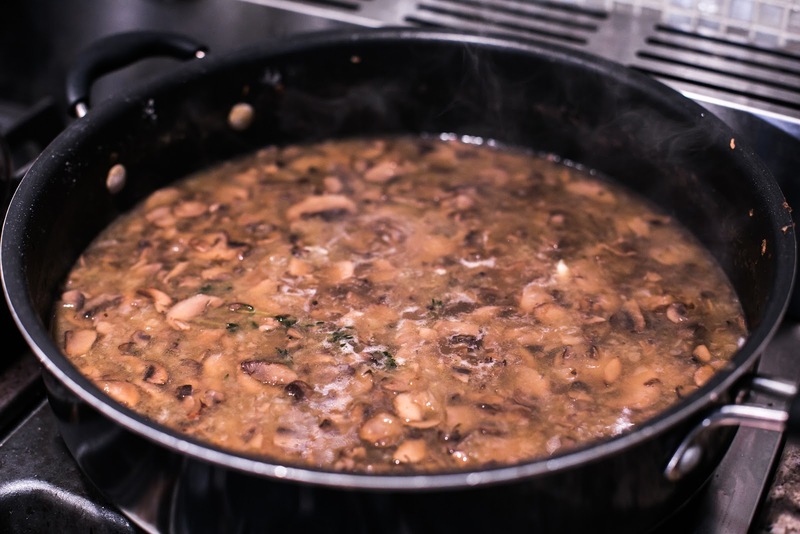 ***I made this recipe again and made a few changes (turned out much better) and lo and behold, just like Chef John said, it is vital to cook the mushrooms until they are completely cooked. The original recipe says around 15 minutes to brown, but it was closer to 30-45 minutes. Unfortunately this is not a quick recipe, but it's so simple and is SO worth it. 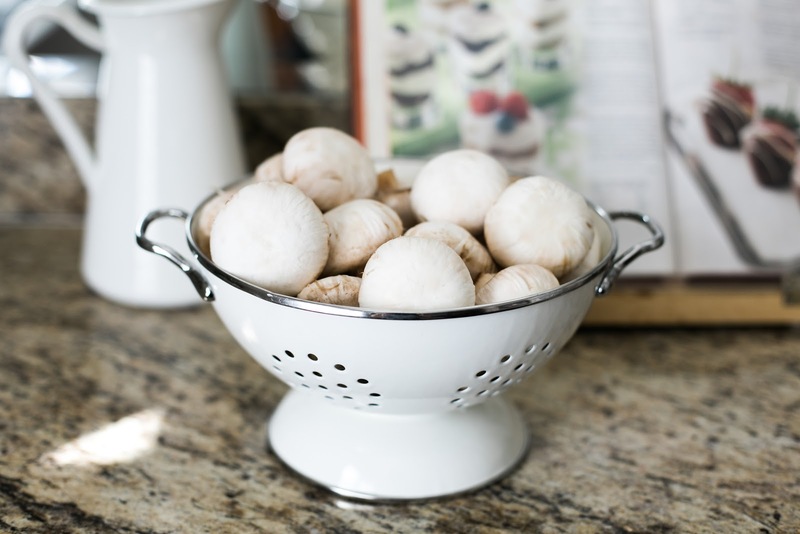 Wash the mushrooms and dry them thoroughly. I also peeled the skin on the outside and trimmed the stems since they were looking a little shady. It's not necessary but it made me feel a little better. Slice the mushrooms. I found that 1/16 was the perfect width if you have a slicer. 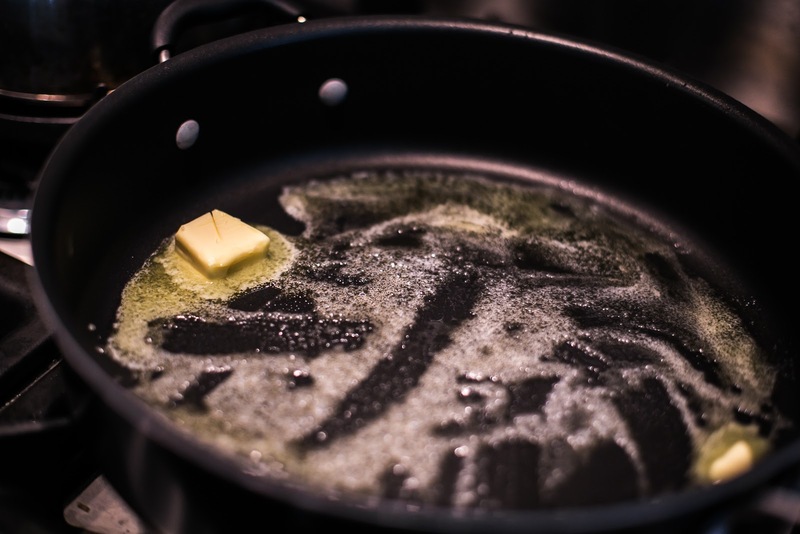 Melt the butter in large pan (larger the better to decrease the cooking time) and add your salt over medium-high heat. 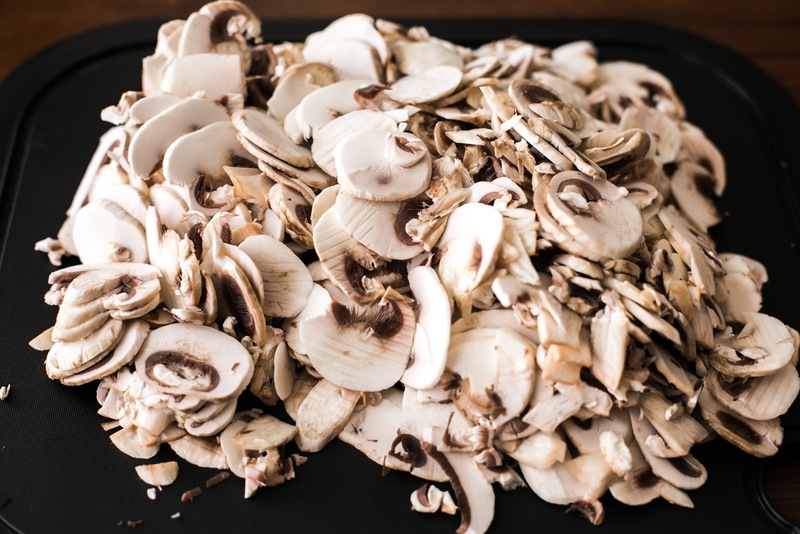 Cook the mushrooms until they give off their juices and then reduce the heat to low. 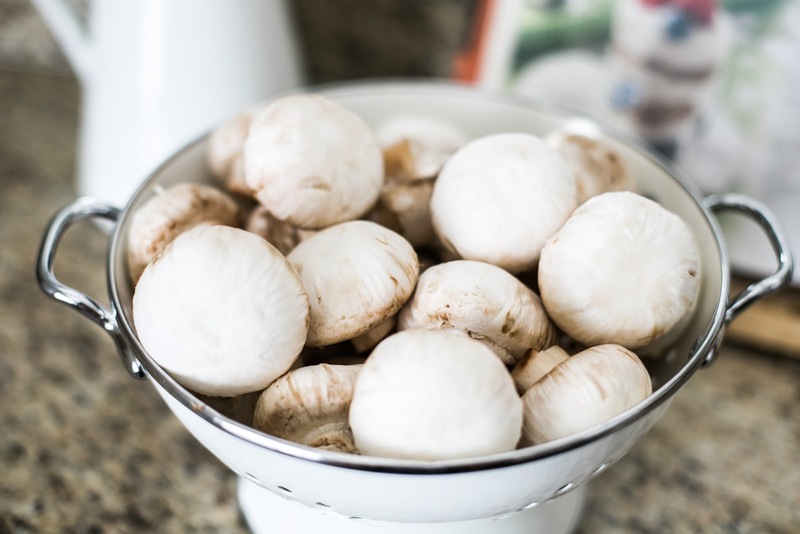 Continue cooking the mushrooms while stirring often until all the juice is evaporated and are browned. Add onions and cook until soft and translucent then add 1 1/2 Tablespoons flour and stir and cook for another two minutes. Then add the chicken stock (this is where I accidentally added extra chicken bouillon. It tasted great to me but the husband said it was a little too salty. ), water, peeled garlic, and the bundle of fresh thyme. Mix altogether and continue simmering for 60 minutes. Yes, 1 hour! Trust me, it's worth it. 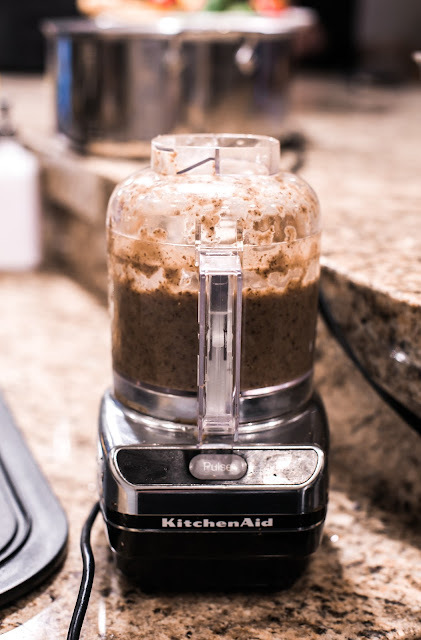 After your long wait it over, transfer the soup in batches to a mixer/blender/food processor. The smoother the better. 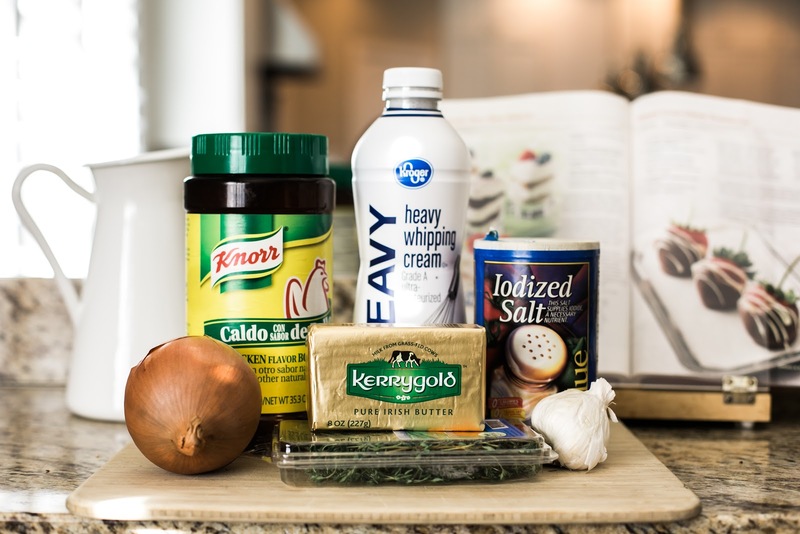 Return everything back to your pan and add the heavy whipping cream and salt and pepper to taste. 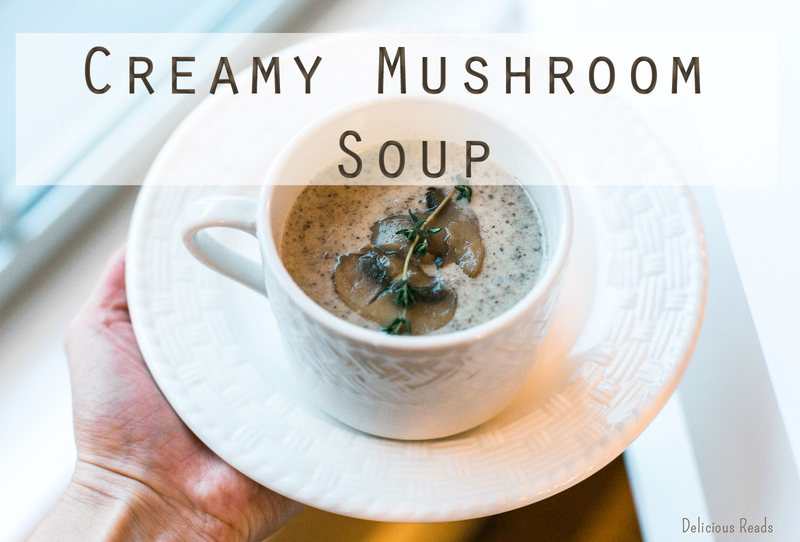 Pour into mugs or bowls, add a couple mushrooms on top and a garnish of thyme and you are all set! You won't want to use canned soup ever again. Hope you enjoy this one as much as I did! Looks yummy. 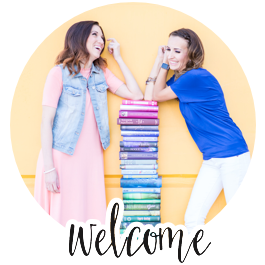 Planning a Nightengale book club dinner in September. How many does this recipe serve. We have 10 members. I'm thinking it would need doubling. Also, could it be made a day ahead without the cream and then reheated adding the cream?